Government, Cyber Security Organizations and IT companies are doing their best to protect their user's digital information. But if "People" itself will not take part in it then it becomes impossible to completely protect their valuable data. And peoples effort is one of the important aspects of Cyber Security. Our digital world is very much complex. It combined with Hardware, Software, Applications and other technological devices. IT Companies and Security Agencies always keep their eyes on those hardware devices and software programs to make sure that no one can intercept on user data. But whatever effort they are giving to secure digital information is not enough if a user is not aware of the usage of their digital data. People should learn about the technology properly whichever they are going to use. For Example; If a person using social media platform, he/she should know about the general usage of social media and how to keep their data safe on various social media platforms. 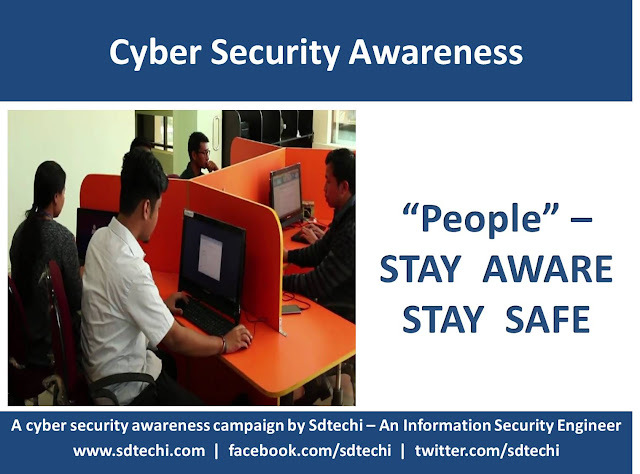 Like; not sharing personal/private information, not interacting with unknown people and using strong passwords to keep their information safe. Remember whatever effort government and security organizations are giving to safeguard their people's digital data will not work completely(100%) without the involvement of the people of getting aware of the rules and facts to secure their information from unauthorized access.